Fusion Design Consultants Inc has been chosen Collaborating Professional of the Year by The Commercial Brokers Association (CBA). 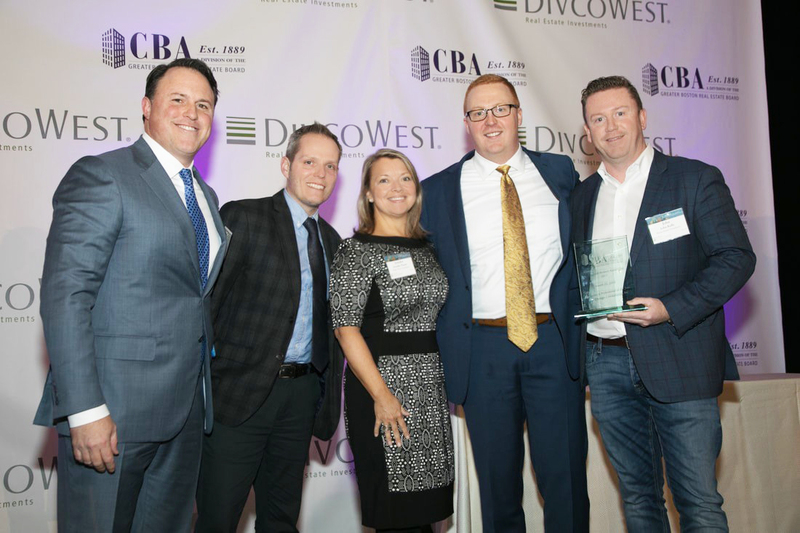 Fusion was presented with the award at CBA’s Annual Awards Dinner on March 22, 2018 at the InterContinental Boston. “Fusion was honored to have been nominated for this award”, said John Kelly, CEO & Founder of Fusion, “and we are truly proud and delighted to have been chosen as the winner of the Collaborating Professional of the Year”. It is extremely gratifying to be acknowledged by our commercial broker partners and we will continually work to earn your trust, confidence and respect in all collaborations. Thank you to the CBA for this very prestigious award – and we look forward to another year of partnership, community and collaboration!